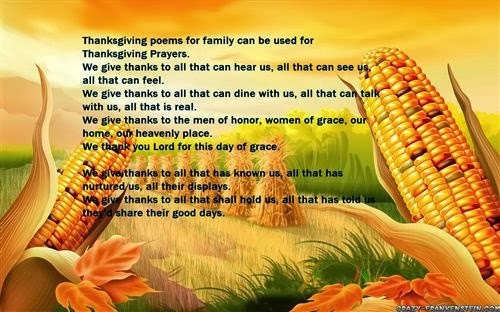 Thanksgiving poems for family can be used for Thanksgiving Prayers. We give thanks to all that can hear us, all that can see us, all that can feel. We give thanks to all that can dine with us, all that can talk with us, all that is real. We give thanks to the men of honor, women of grace, our home, our heavenly place. We thank you Lord for this day of grace. We give thanks to all that has known us, all that has nurtured us, all their displays. We give thanks to all that shall hold us, all that has told us they'd share their good days. We give thanks to the fathers and mothers, sisters and brothers, family and friends. We thank you Lord for this day, Amen. The moment when you are with your family is the best thing for your life with the turkey, parents and everything of yourself. 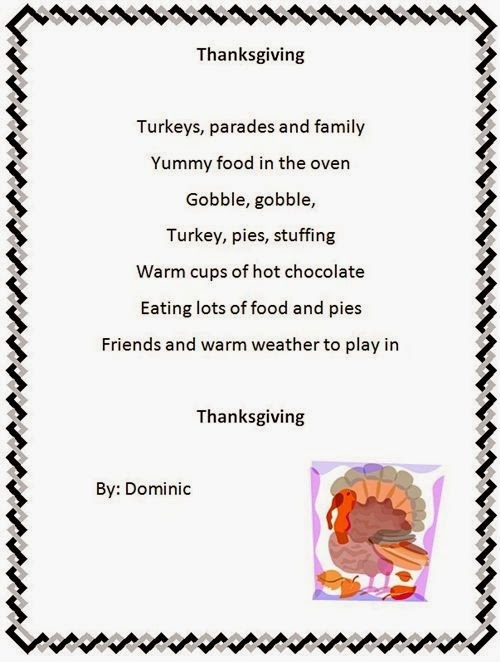 Let's make a meaning poems cards for your parents on Thanksgiving day to honor and thankful them.